The Palm Pre. The iPhone 4. 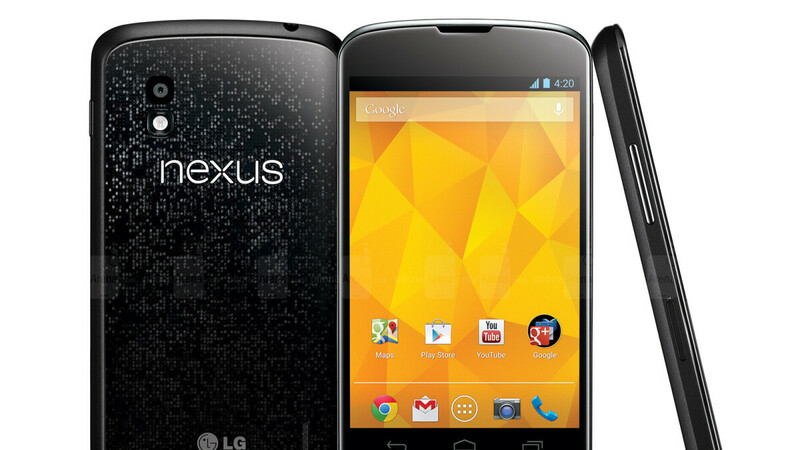 The Google Nexus 4. There are just a few phones released more than 5 and even 10 years ago that can elicit such vivid memories and fondness, and those do it for me. But there is more than nostalgia that has urged me to suggest that Google should bring the Nexus back. First, let's take a look back at what the Nexus brand stood for. The essence boils down to a clean Google-made experience with absolutely no bloatware, with timely Android updates, and all of that garnished with top hardware. The real magic for the recipe, however, was in those little optimizations that made Nexus phones run smoothly for years and years, while other phones deteriorated quickly. Now, can we resurrect the Nexus? Some anecdotal evidence is due here: a couple of my friends were still rocking a Nexus 5 last year, a full 5 years after its release and the phone felt zippier than many current-day phones in daily tasks. It was the poor battery life and a broken screen that had both of them eventually give up these phones, but both guys have fond memories of that handset. And both were actually appreciative of the fact that the device was made of plastic and at least its back would not crack. So what was a Nexus phone to those who really cared about it? Put simply, it was a really affordable variant of what Google is currently doing with the Pixel lineup. It was a beater phone, yet one they loved. Now, can we resurrect this wonderful concept in the present? When speaking about these phones, we ought to go back in time and take a quick look at the history of the Nexus lineup. It started way back in 2010 with the cute Nexus One made by HTC. It was the first and only Nexus phone to feature a multi-color trackball, which would be such a cool retro-futuristic thing to have in the present and its design was a derivative of the then popular Desire series. Then we had two years of plastic-fantastic Nexus phones by Samsung, a couple of LG models and in the last year of Nexus' existence we had two phones, one made by LG and one by HTC. So what is it that we want? Google already has the Pixel series, which is basically a Nexus at a double price, so is it even worth bothering with a new Nexus and can't it just release a Pixel Lite and call it a day? That would certainly satisfy most people, but resurrecting the Nexus brand has a much bigger potential than releasing a handicapped "Lite" device. A Nexus that I dream about as a fan of the series would involve resurrecting an iconic design from the Nexus past with a modern, full-screen twist, a capable camera and great battery life. Imagine the stunning glass finish on the Nexus 4 on a modern phone. Or even something slightly funky like the curved Galaxy Nexus. Or the aforementioned color trackball on a modern phone. In 2019, it's clear that everyone already knows what makes a great phone: the thin all-screen glass slab from the future is here, but as much as I love all those modern trends like nanolithography, I am still missing something. I am missing that character, that personality and a brand new Nexus that could rise from the dust like a phoenix could bring all that and infuse new energy in a market that's becoming... well, a bit boring. What do you stand on that? Are you willing to step out of the box of the established modern smartphone form factor? Oneplus took their place. Don't know if they'll be competitive in today's market. The Oxygen OS on OnePlus smartphones should tell everyone that it didn't take the Nexus place. Far from it as a matter of fact. But if you want to bring up other brands. Then there is a number of mid range devices an even low priced devices that could fit the bill of a Nexus device. It depends on what you are looking for in a device, or what you plan to do with it down the road. If you want to do AR and VR, then you kind of need the latest specifications in a smartphone. If you are looking to do AI stuff with images, or other related AI applications then you definitely need the latest flagships. If you want to play some mobile games, then even a mid range device or low end smart today will do. If you want to develop apps using the latest Android OS, then your best bet is the Pixels. OnePlus gave me a "bad taste" with the OnePlus One, but, I've had the 6T for a little over a month, NOT ONE issue. I'm still rocking a Nexus 5. Hopefully not for that much longer. I'd still be using my Nexus 6 if it wasn't for the battery dieing off. That phone gave me everything I wanted and nothing I didn't ask for (fp / iris scanners etc). Man I loved that phone. I would love to have the Nexus line back. Still have my Red Nexus 5 and my Nexus 10 tablet. Nexus prices would be what would well above the normal price range of what people think the Nexus devices would cost. hmm... price may be hard to get too, but the small form factor is definitely something to bring back.... 4.5-4.8 inches with all the stuff of the big boys... maybe at a 500 to 600 price tag...?? There's room something different. If they plan this well it would work. Think more affordable Oneplus, basically Google Pixel subbrand, like Huawei has Honor brand. Google (LG too) messed up there, but Huawei got it and mapped out the Honor brand Perfectly. Ya know what would lower prices? Polycarbonate. I'd prefer that to metal/glass any day! Consider this comment as equivalent to a 100 up-votes from my side. Exactly! Glass on the front, is a must, but, on the back? Polished metal back cover with "stylish colors"? Why? Everyone puts a cover on them anyway. I believe Android one phones are new nexus. They *should* be, but without an enforced update schedule they really aren't. Went from a cool sounding Nexus branding to a gay sounding Pixel...no wonder Google is having problems lol. If Nexus ever returns, it should cost WAY less and be available in WAY more countries. Galaxy Nexus held the ridiculous price in my country all the way to the end, being more expensive than even some flagships. As a former Nexus 5 and (still) Nexus 9 owner, I totally support this idea, however I know there's a slim chance it will ever happen: Google is just to greedy nowadays. I used the Nexus line starting with the Nexus 4, Nexus 5, Nexus 6 and Nexus 5x. I miss each of them, however, I've found the unlocked Moto X4 with android-one to be as reasonable replacement. Its almost untouched android and they (Motorola) has been updating at a reasonable rate. As of this month its on Pie. Just wish Google would resurrect Nexus. I'd be happy if they did something to improve the hardware of the pixel line. A phone that costs a grand should have no compromises. None. From ugly, outdated designs to poor screens to the biggest notch ever to an almost obscenely miserly amount of RAM, the Pixel line requires too great a number of sacrifices to be a contender. Give us a phone that doesn't require a "yes, but" when people comment on its underwhelming appearance. A phone that costs a grand can have as many compromises as it wants. You have the option of not buying it. I turned on my Nexus 5 about a month ago and it's still a fast and smooth phone. If it wasn't for the battery I could see myself using it today.